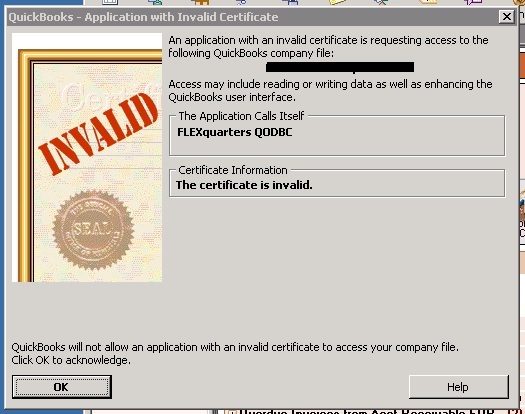 [QODBC-Desktop] Troubleshooting: QuickBooks Reports "The Certificate is Invalid"
Troubleshooting: QuickBooks Reports "The Certificate is Invalid"
When first using the application to access QuickBooks via QODBC, it will pop up a window to ask the user to give the certificate to this application. First please make sure that you are connected to the Internet on the machine. 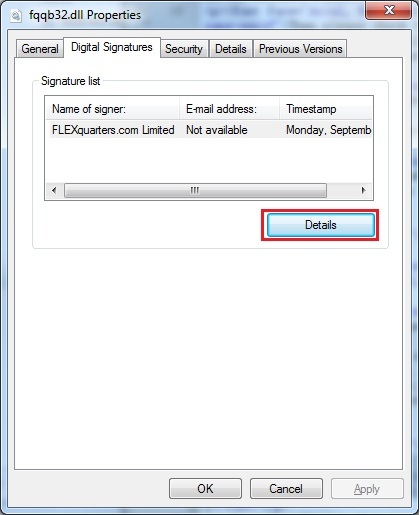 In the "property" window, go to "Digital Signature" tab, check if the certificate of "FLEXquarters.com Limited" is valid by clicking "Detail" button. 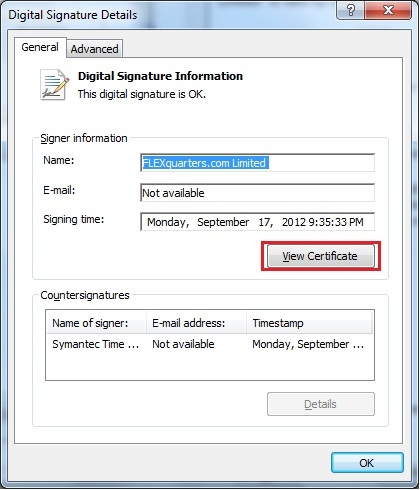 2) On the Properties of the file fqqb32.dll, click on "Digital Signature", view the signature. 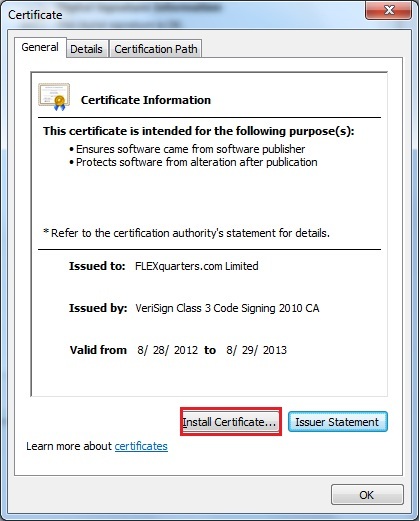 Click on "View Certificate", and then click on "Install Certificate". 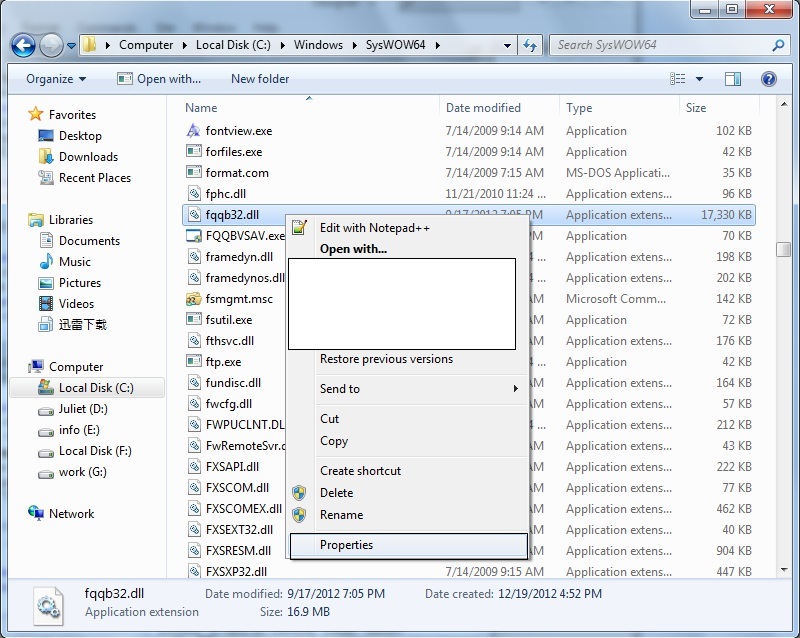 4) Test the connection again to see if the problem is fixed.